The Sin War, the battle that revealed the presence of Inarius on Sanctuary, was not the beginning of the nephalem. Despite the presence of Uldyssian and his followers, it was merely a chapter, a small one in a saga that links us from the creation of the world of Sanctuary to the present day. 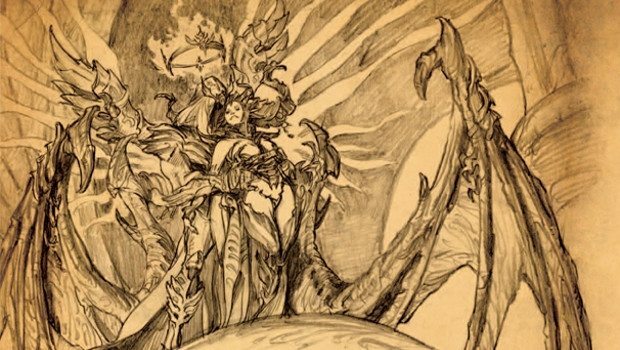 One cannot discuss the Sin War without discussing nephalem, for in a way, the nephalem are far more important to the cosmos than Sanctuary, Inarius or Lilith. More important than the Archangels or Prime Evils. After the events of Diablo III and Reaper of Souls, it can fairly be said that the being currently known as The Nephalem has the potential to be the most dangerous being in existence. The combined power of all seven of the Prime and Lesser Evils failed to stop said being, and when an Archangel seized control of the Black Soulstone and used the trapped essences of those same seven, added to his own incalculable control over death, the result was the same. Malthael still fell before the power of The Nephalem. There was a time where more than one such entity walked the surface of Sanctuary. Looking back to the dawn of Sanctuary’s creation we find the Renegades, angels and demons that sought to escape the endless battles of their kind, led by Inarius and Lilith. It was through fraternization of these same demons and angels that the first nephalem were born, and their power revealed to those that had made them. The potential for power displayed by these beings was staggering, for unlike their angelic and demonic forebears, the nascent nephalem were beings with the power of Anu and Tathemet running through them. Not since the cosmic all at the beginning of time had any being been so thoroughly capable of the greatest nobility and the most savage depravity. Yet each nephalem had this capacity, and moreover, each could draw on the power of both of their cosmic forerunners. They seemed capable of surpassing their parents, and in alarm, those parents turned to Inarius for a solution. It seemed impossible that the forces of Heaven and Hell would fail to find Sanctuary with such astonishingly potent beings walking it, and when they detected that the nephalem were mixtures of angel and demon, they would be shocked and disgusted, outraged – they would seek to exterminate them, and the renegades for having engendered them. Worse, however, was the unthinkable possibility that they might fail. The nephalem already rivaled their parents, in time, they could well surpass them. Inarius considered the request of his followers that these offspring be destroyed, but when Lilith slew the other renegades to preserve them, he could only banish her to the Void, bound by his emotions and his oath to never harm her. This left Inarius alone in Sanctuary with the very same beings that he knew must inevitably supplant him. 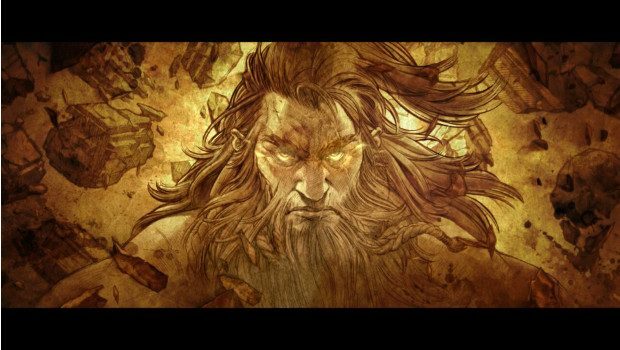 However, Inarius had one advantage over the nephalem – while their had the inherent power of their legacy as beings who contained the essence of both Anu and Tathemet within themselves, Inarius had the Worldstone – also known as the Eye of Anu, it was the powerful relic that had created Sanctuary, a piece of the titanic cataclysm released when Anu and Tathemet struck each other down. Using the Worldstone, Inarius altered Sanctuary and the nephalem so that their titanic power would over time be lost, and that their own descendents would not be born nephalem as they were, but smaller, weaker beings without access to such lofty cosmic power. In essence, Inarius created from the godlike nephalem mere mortals, humans. The humans were still admixed beings, still containing the potential for great good or great evil, but no longer could they edit existence itself as did the Worldstone. (In a way, Inarius did to them what they would in time be capable of doing to the world.) Thus convinced he had rendered them no longer a threat to himself or his goals, he sat back to his long lonely retirement amidst his own descendants. But despite every effort, the Hells did find Sanctuary. Mephisto, Lilith’s father and one of the three Prime Evils, took note of this strange world and its mortal inhabitants and was impressed with their potential. Their souls could serve to tip the scales in the conflict between the Burning Hells and the High Heavens, and so, Mephisto sent his son Lucion to Sanctuary to prepare the way. Lucion created a cult called the Triune, which cast the Prime Evils in the role of gods to be worshiped and emulated and set out to win converts and sway the souls of mankind to their own debasement. 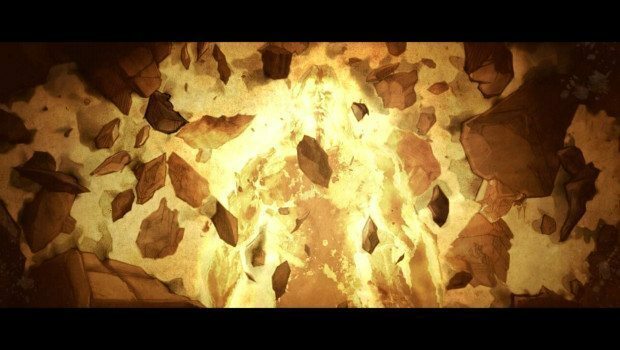 Inarius, however, noticed Lucion’s actions and backed by the power of the Worldstone he was no trivial opponent – even the Prime Evils couldn’t easily defeat him so long as he held that relic of Anu. Inarius created the Cathedral of Light to oppose Lucion’s Triune. As a religion the Cathedral of Light was doctrinally simple enough – it basically was a predecessor to the Zakarum Church, with tenets of Light and opposition to evil. However, Inarius wasn’t really all that concerned with the humans of Sanctuary, he simply wanted to oppose the Triune. As a result, the Cathedral spent most of its time squabbling with the Triune, and not much time actually following the Light or helping anyone. Over time, these two battling religions entered a stalemate, replicating the eternal battle between Heaven and Hell on Sanctuary itself, and while they were deadlocked real people lived, suffered and died in their wake. This continued for generations, and while it did, Inarius wasn’t attentive to the power he’d used to banish Lilith to the Void – occupied by Lucion, he failed to notice his lover’s return. But Lilith wasn’t grateful to her brother, far from it – she sought total dominion over Sanctuary and the Nephalem, seeing in them a power that could overthrow both Heaven and Hell. In her eyes, the eternal conflict was pointless, and even winning it was pointless, when in her offspring the seed of true godhood, true power endured – the might of the nephalem could alter reality, each had the potential to be a living Worldstone. Lilith used Inarius and Lucion’s shadow war as cover for her own actions, seeking out the Worldstone and subtly altering it, weakening Inarius’ use of the stone to strip the nephalem of their power. This simple act allowed one of the mortal of Sanctuary, a simple farmer named Uldyssian Ul-Diomed, to slowly realize he was more than he ever believed possible. And it was this realization that began the Sin War in earnest, as the forces of the Triune and Cathedral of Light soon learned a third faction would rise to oppose both. 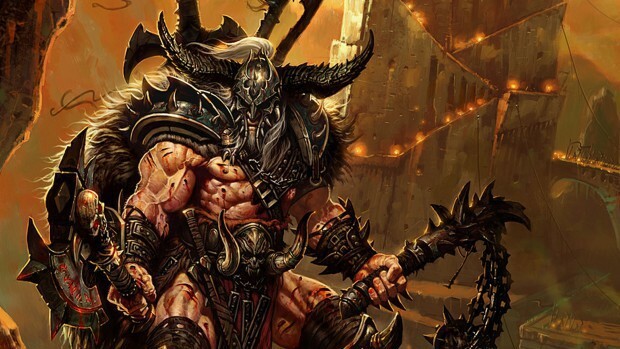 Our next Diablo KYL will cover the life of Uldyssian and his friends and allies, and show how the Sin War led us inexorably to the moment The Nephalem would rise to overthrow both Diablo and Malthael.